Looking for a fun way to support the work of Guide Dogs? Well, look no further - the brand new gift shop from Guide Dogs is sure to meet your needs! 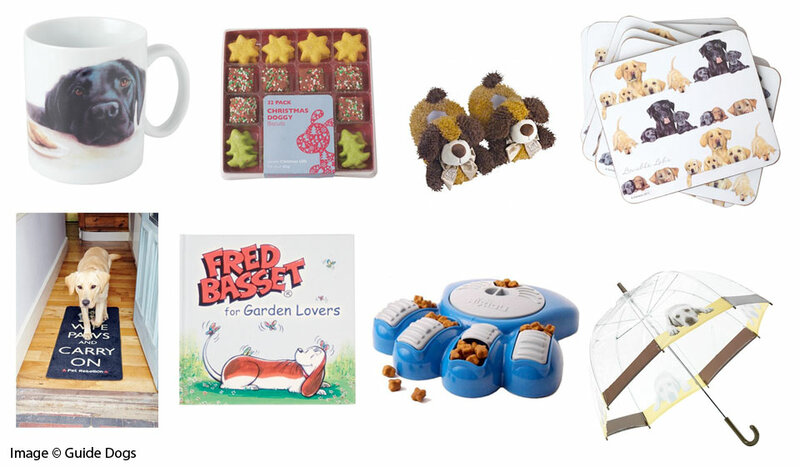 Guide Dogs change their gift shop's product range on a seasonal basis, so you will be sure to find some great Christmas ideas as we head in to December 2014. All profits from your purchases go to help support Guide Dog's amazing work that helps improves the lives of blind and partially sighted people. We really like the way the website works so well on smartphones as well as normal desktop computers, and also how easily you can filter the product categories in order of price, best selling and alphabetically. Everything from umbrellas to hot water bottles! Each hour in the UK somebody becomes blind. Guide Dogs charity receive no government funding, and therefore rely on donations from the public to fund their vital work. As we mentioned above, all the revenue from the sales goes to fund their projects, and the increase in gifts that people tend to make over Christmas means that this is a great time of year to lend you support. Currently there are around 5000 guide dogs working with blind or partially sighted people in the UK. The need to train new puppies never ends and it is a big undertaking. It takes many years to train a guide dog puppy with a cost of £50,000 and the input of many different professionals. Another very popular way people like to support the charity on an ongoing basis is to sponsor a puppy for as little as £4.33 per month. The membership scheme allows you to choose and watch the development of the puppy you sponso. You also get a calendar, gift certificate and photo album with each puppy you sponsor. During a recent customer survey Guide Dogs discovered that 9% of their customers discovered all the things they were looking for on the site. Particpants in the survey also awarded a 4 out 5 star score for the overall range of products.